In 2014, we saw huge growth in robo-advisors and rightfully so. There are many benefits to automated investing and robo-advisors are reaching a market that is underserved. They can take much smaller clients than financial advisors, are cheaper than advisors, and, with everything done online, it’s easy to sign up and transfer funds. However, there are some considerations to weigh. If you’re looking for financial advice, robo-advisors are not for you. Another criticism of robo-advisors is that they haven’t been around long enough to have a significant track record. One digital asset manager that has been around since 2009 and has a longer performance record than robo-advisors is Hedgeable. Located in NYC, Hedgeable (www.hedgeable.com) is on a mission to provide sophisticated automated investment services to the masses. 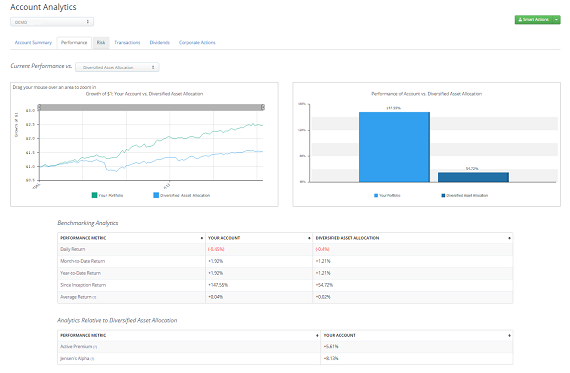 Figure 1: Investment growth of Hedgeable’s Dynamic Aggressive ETF and its benchmark Diversified Asset Allocation (52% MSCI ACWI, 28% Barclays U.S. Aggregate Bond Index, 10% MSCI U.S. REIT Index, 10% Bloomberg Commodity Index) since inception. 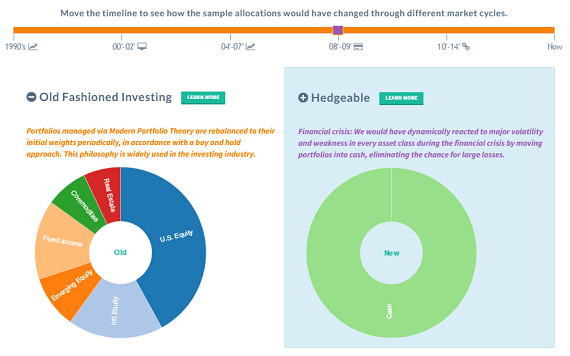 In this post, I’m going to dive into what Hedgeable offers, covering how they are similar to and how they differentiate themselves from robo-advisors version 1.0. Robo-advisors version 1.0 first hit the scene a few years ago but really grew in popularity in 2014. In the next couple of years, they and the digital asset management concept will continue to grow and evolve. Robo-advisors tout low fees because of automated, ETF-based investing strategies, accepting clients with low minimums (as low as $5,000), providing tax-loss harvesting, and an efficient allocation of asset classes (utilizing modern portfolio theory) based on investment objectives. All of these things are great progress for the investing industry which has typically catered to those clients who can afford advisors, leaving people with smaller amounts to invest in the dark about investing. Why is Hedgeable digital asset manager version 2.0? 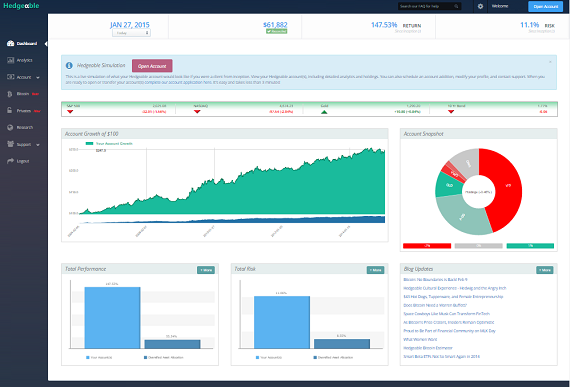 Hedgeable provides all of the features of version 1.0 except a buy-and-hold philosophy. Hedgeable’s technology provides downside protection for your investments. Hedgeable offers dynamic and tactical risk-managed strategies as well as new products like the ability to invest in bitcoin, privates companies, and alternative investments. 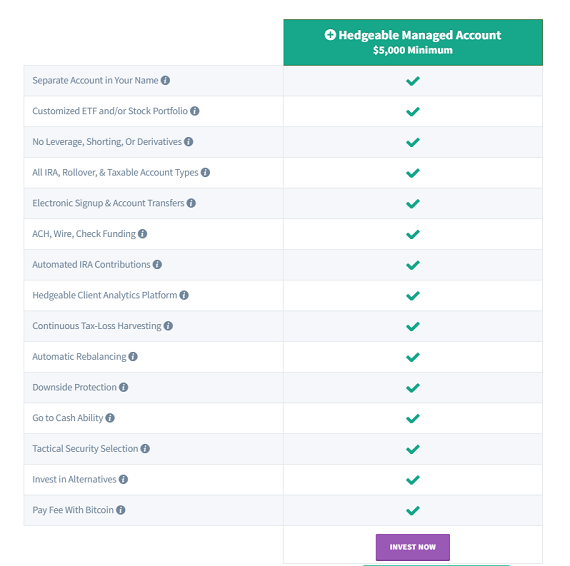 Figure 2: Features of Hedgeable’s Managed Account. 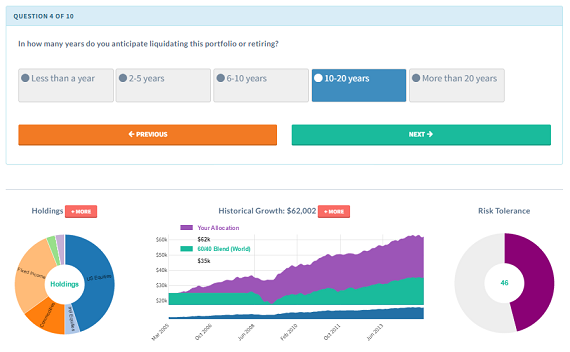 How is Hedgeable’s technology different than robo-advisors 1.0? The concept behind Hedgeable’s technology is simple: to participate in market upside and not market downside. Hedgeable’s technology will sell off declining securities and replace them with rising securities or safe assets (fixed income or cash) when rising securities aren’t available. This system may sound like market timing but it is an entirely reactive system, relying on market indicators and selling and buying securities in increments. In contrast, a buy-and-hold strategy, the strategy that other robo-advisors utilize, will track indices through the ups and downs of the market. Figure 3: Buy and Hold philosophy (“Old Fashioned Investing”) versus Hedgeable’s asset allocation during the height of the 2008-2009 Credit Crisis. This chart demonstrates the risk-management offered in a Hedgeable account. All of the assets were shifted to Cash in the Plus program whereas the buy-and-hold strategy, the Basic program, stayed invested. Figure 4: Hedgeable’s 2014 Client Composite Performance. Please note past performance is not guarantee future results. Hedgeable makes investing simple – you can sign up in less than 5 minutes (www.hedgeable.com/getstarted) and be placed in a diversified and risk managed portfolio. It’s also easy to transfer different account types like IRAs, rollover IRAs, and taxable accounts from other investing platforms. At sign up, you’ll be asked how you’d like to transfer funds into your Hedgeable account and you’ll be walked through the process. And if you have any questions along the way, they have a live chat feature. If you’re just starting out and are looking to get your feet wet, they offer a free demo. The demo will give you access to the platform and analytics on the simulated performance of your investment strategy based on your answers from the sign up process. You can start the free demo by going through the 10 step sign up process and creating an account (submitting name, email, phone number and creating a username and password). The fee for a Hedgeable account is an all-inclusive wrapped fee based on asset size. There are no hidden fees or schemes buried in disclosures – everything is included in the pricing. Figure 5: Hedgeable’s pricing breakdown. Hedgeable charges a wrapped fee with a low account minimum of $5,000. The sign up process takes less than 5 minutes and is pretty typical of opening an investment account. You’ll be bought through a 10 step process that asks a series of questions aimed at getting your investment objectives and risk tolerance in order to place you in the correct strategy. Some of the things you’ll be asked are about your age, your investment size, and the time horizon of your investment. You’ll also be asked questions that get at how much of a risk taker you are. Along the way, you’ll see your risk score and asset allocation change as the questions narrow in on your risk level. Figures 6-8: Steps 1, 4, and 10 of the sign up questionnaire. The sign up asks questions to determine investment objectives and risk tolerance. These questions will determine which investment strategy you will be placed in. As you go you will see your sample holdings and risk score update. 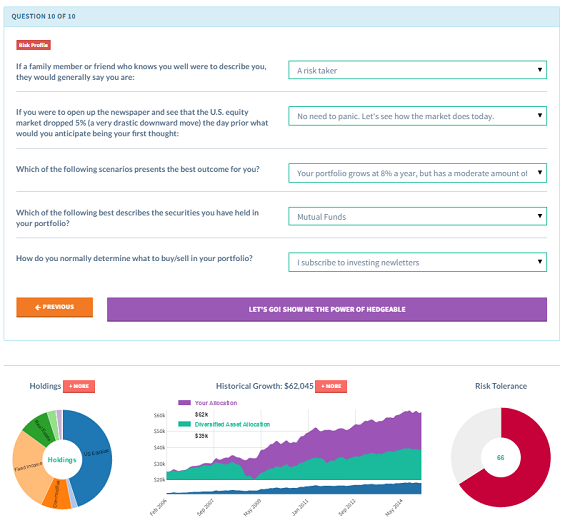 There are over 150 customization points that Hedgeable uses in order to place you into an investment strategy. After your risk tolerance is determined, you’ll be placed into one of Hedgeable’s strategies. Their strategies range from the typical Target Date strategies (strategies that have a mix of equities and bonds depending on your retirement date) as well as specific strategies that focus on the Tech sector, US Equities, Fixed and High Income, and Alternative Investments (like commodities, REITs). 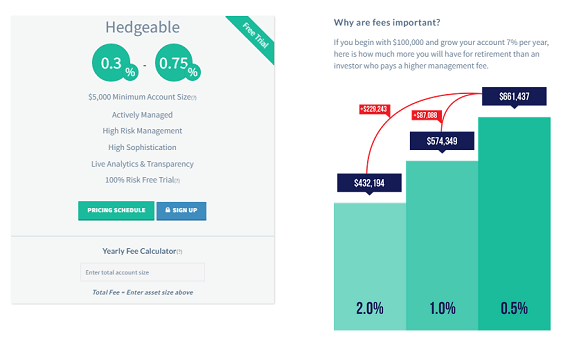 In comparison to robo-advisors 1.0, Hedgeable’s investment strategies have many more offerings. For example, if you were to check out Wealthfront’s offering, their strategies consist of the same 5-6 ETFs and only the weights differ based on risk tolerance. In the highest and lowest risk tolerance buckets, they will add or take away an ETF to adjust the risk profile. These strategies are an investment equivalent to target date funds that adjust your exposure based on risk tolerance. Betterment does the same thing but invests in 10-12 ETFs allowing for more exposure to different markets. One of the best features of having an account with Hedgeable is the online client platform. (Check out the free demo for the features!) You can log into your account online 24/7/365 to view your investments in real time. The platform shows current performance and risk analytics of your investments, the ability view your investments versus different benchmarks, financial news, and their company blog with a unique angle on current world economic events and the startup tech scene. In addition, they are building out a robust research center containing analytics on securities, macroeconomic indicators, Bitcoin, Mutual Fund Ratings, and much more. Figures 9-10: Hedgeable’s online client platform allows you to check your account 24/7/365. Figure 9 is the Account Dashboard. Figure 10 is the Performance section from the Analytics page. True to startup form, Hedgeable is constantly improving and making additions to their platform and investment strategies. In 2014, they released the ability to pay management fees with bitcoin and are the first digital asset manager to enable clients to invest in bitcoin. 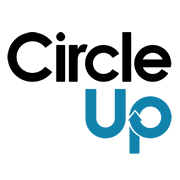 In 2015, in partnership with CircleUp, the world’s leading equity online investment platform for innovative consumer product and retail companies, they are launching the Hedgeable Circle. In an unprecedented move, this partnership will enable accredited clients the ability to invest in consumer startups for the first time – yes, that means that accredited clients (accredited per the SEC) can invest in consumer products that you’ll see sold in stores created by startups through the Hedgeable Circle! These alternative asset classes are available with the Plus program for no additional cost. Figures 11-12: Hedgeable’s Bitcoin center. You can invest in bitcoin alongside your Hedgeable account powered by Coinbase. With Hedgeable’s partnership with CircleUp, accredited investors can invest in consumer startups via the Hedgeable Circle. Younger investors and those with more assets alike have been drawn to their investment services for a few reasons. Beginner investors like the automation and ease of online use that they’re used to and those with larger nest eggs who are planning for families and retirement like the downside protection to protect their assets. According to the recent UBS study about investment sentiment among millennials, they are favoring safer assets and the result is an asset allocation that is more conservative than is recommended for their age and investment time horizon. As compared to non-Millennials, Millennials have higher cash and fixed income allocations and lower stock allocations. Hedgeable’s risk-managed strategies can help those millennials maintain a more aggressive allocation that is more fitting for their investment time horizon as well as having some downside protection against losses like those seen in the Credit Crisis. 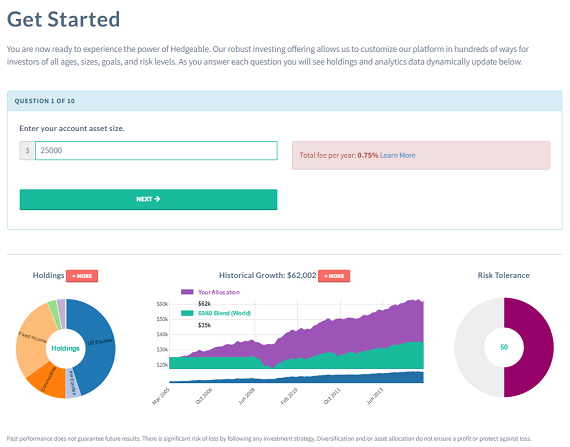 Bottom line, you should check out Hedgeable (www.hedgeable.com/getstarted) if you’re looking for a cost effective, automated investment platform with downside protection and a digital asset manager that is bringing sophistication to the masses and raising robo advisors to the next level. 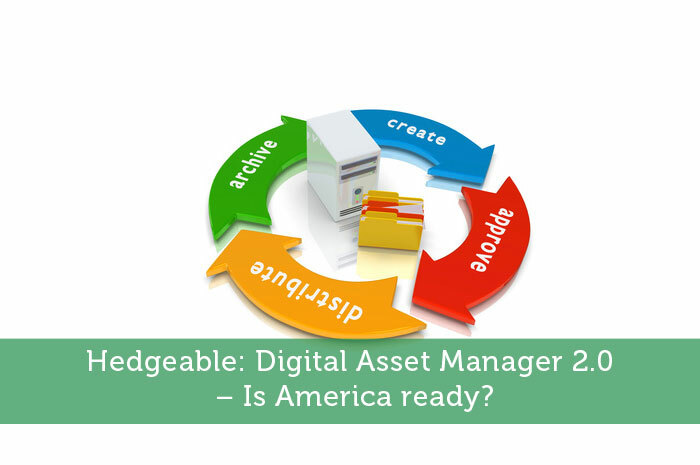 Hedgeable: Digital Asset Manager 2.0 – Is America ready? There’s a lot of talk about the opportunities for robo advisers in Australia, as there currently aren’t any major players. It’s a huge opportunity for smaller investors as financial advisers struggle to make profit out of servicing small clients and taking on such huge advice risk. Is anyone else using hedgeable? I’m trying to understand why it’s been performing so terribly this year. I know these things go up and down, but I’ve just been watching it go down for over 6 months. My account shows that I’ve lost 9.4% compared to the S&P losing 1.6% in this time period, with no explanation of why it’s so much worse. I think I just chose a slightly more than moderate amount of risk. Insight anyone? Kristin. What risk level did you choose when joining Hedgeable? Did you choose the investments in your portfolio or did Hedgeable choose them? Also, I thought that Hedgeable portfolios come with automatic “downside” protection. Did that not work for you? Kristin: Did you find out why your portfolio was lagging the S&P so much?